The early members of the Hermetic Order of the Golden Dawn were encouraged to prepare personal Tarot packs for their own use based upon Mathers’ deck and his work. The Society set down certain instructions for its members to follow, but these instructions were abbreviated at best. Not surprisingly, as time went on and new members copied decks based upon previously drawn cards, the variances and modifications grew more and more pronounced. 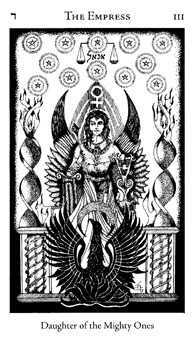 Since Mathers’ original Tarot deck has not been handed down, today’s researchers of the Order of the Golden Dawn—whose numbers grow and flourish in Europe and the USA—often assign personal interpretations and modifications to their own version of the Tarot as it might have existed in the Order more than 80 years ago. 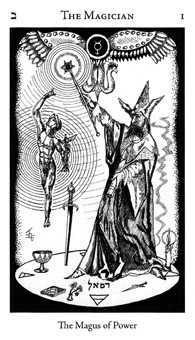 In 1967, a limited edition of 200 copies of The Book “T” appeared in Great Britain and it was reproduced again in 1978 by Robert Wang in An Introduction to The Golden Dawn Tarot. Godfrey Dowson's cards in The Hermetic Tarot reveal a combination of detail and symbolism that capture the mood and sense of each pictorial image. Subtle variations exist in almost every card. 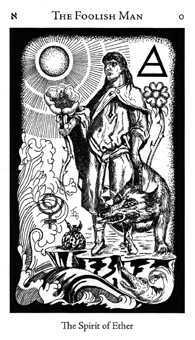 For example, fingertips touch the stem of a rose bush in the 8 of Pentacles (Lord of Prudence) in contrast to the firm grasp of a hand in the 4 of Pentacles (Lord of Earthly Power). The mangled swords in the 9 of Swords (Lord of Despair and Cruelty) and the roses in full bloom in the 6 of Pentacles (Lord of Material Success) illustrate how skillfully the artist has created the cards. Repeated study of each card often reveals for the first time a new dimension and scope not seen in a previous reading. 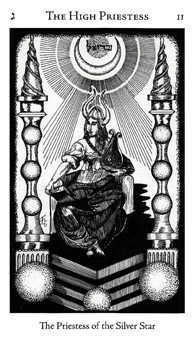 One of the most important features of Dowson’s Hermetic Tarot is his emphasis on the Golden Dawn astrological attributions of the cards. Working prior to the turn of the century, and drawing on a great deal of published information, library manuscripts, secret documents, and extensive personal research, Mathers assigned a complete set of correspondences between the Tarot and the zodiac. 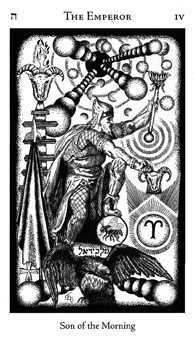 Dowson has also provided clear symbols in his card designs which help the student correlate these astrological correspondences each time he or she reads the cards. 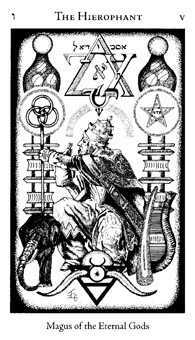 Crowley, of course, does the same in his deck, but the symbols are frequently less clear than portrayed here. A knowledge of astrology can greatly aid in the interpretation of the Tarot, and vice versa. It was the genius of the Golden Dawn to synthesize these systems. 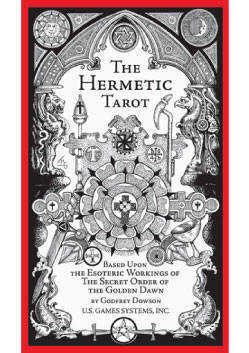 Godfrey Dowson successfully creates in The Hermetic Tarot a compelling reconstructed version of the Tarot that has taken its place as one of the most important esoteric Tarot decks published during the twentieth century. The back design of The Hermetic Tarot deck is a rose in full bloom. Each card contains the sigil—the mark of a master craftsman. All the work by Godfrey Dowson bears this mark. The original artwork for the Hermetic Tarot deck was executed between 1975 to 1977 by the artist and is now is included in the Stuart and Marilyn R. Kaplan Playing Card Collection.